Splitska banka started its successful business back in 1965., in 2006. it became the member of the Societe Generale Group. It’s among the leading financial institutions on the bank market of Croatia, with a wide network of bank branches in the entire Croatian area, with a vast offer of products and services for citizens, small business and companies. The strategy of Splitska banka is aligned with the global strategy of the Group, directed to the „Team Spirit“, the idea that clients and the bank are and should act as a team. 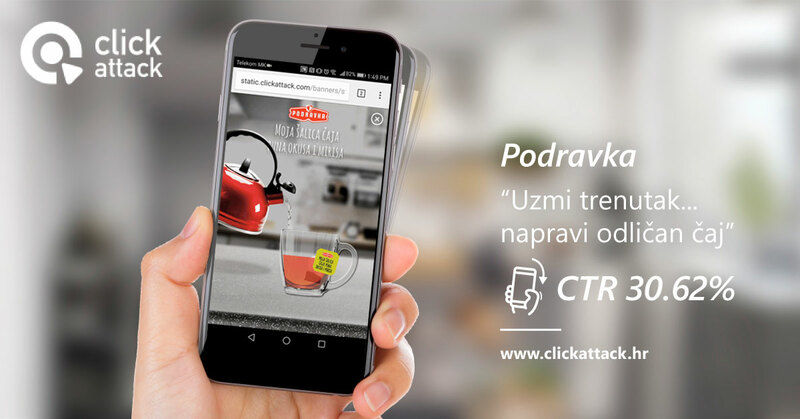 Such position demands innovation and high quality communication with clients and one of the best examples of such communication is a mobile campaign that Splitska banka realized in cooperation with the ClickAttack team. Lately, Splitska Banka stress digital formats in its advertising. With regard to satiation of ads on TV channels and decrease of the traditional media, smart advertisers look for new digital channels to compete for the audience attention. 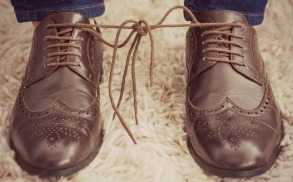 But, digital channels have their own challenges, so, it’s not that easy to rise above the “flood” of all different kinds of display ads and hunters for clicks. For their first campaign in 2016, they experimented with new available formats for mobile channels. They searched for the alternative option for the classical takeover ad, with excellent creative solution that will provide multiple ways of interactions with the advertisement. The initial proposal of the mobile campaign entailed compliance with existing visuals campaign Splitska banka (TVC and print) and placing interactive banners on the mobile phone. FullScreen HTML5 interactive banner was the right choice for this campaign. The concept that was in the decision followed the idea that life inevitably brings a lot of turbulence and unexpected situations. They can not be avoided, but we can not wait ready. That was the message we wanted to reconcile with the possibilities offered by mobile technology, in the form of a relation of turbulence in his life = shake the phone. With the advent of the ad before the user is presented snow globe depicting a young couple at the time of starting married life. Icon that suggested action instructions of the user to shake the mobile phone to continue the story. After the shake-and was followed by the emergence of flakes which represented environmental turbulence. Then the new image filled the user’s screen – snow globe containing the same young couple, but not at the wedding, but in the bank. After that the user appeared before the interest rate for loans in euro and kuna, as well as notification to the loans submitted through our online application no fees. In addition, a mobile ad allowed the user to, with the help of the button, directly visit the website for submitting online application or to visit the web page of Splitska banka. With defined settings targeting and media plan everything was ready for the start of the campaign which was realized through ClickAttack mobile advertising network. The first solution that was suggested for this mobile campaign, included keeping the visual identity of the existing campaign that Splitska Banka already had for TV and print ads, and launching the new interactive banner for the mobile devices. FullScreen HTML5 interactive banner was the right choice for this campaign. The basic concept for the solution followed the idea that life inevitably brings many turbulent and unexpected situations. We cannot avoid them, but maybe we can be ready for them if they do happen. That was the message that we wished to align with the possibilities that mobile technologies can offer, so, life turbulence was presented with a shake of the mobile phone. The advertisement in front of the user was showing the snowball that represented a young couple at the very beginning of their married life. The icon that suggested action led the user to shake a mobile phone a bit so the story could be continued. After the phone shake, the snowflakes showed up that represented a turbulence in life, then a new image filled the user’s phone screen – snowball with the same married couple, but not on their wedding day but at the bank. After that, in front of the user showed up bank rates for cash credits in euros, in Croatian kuna, as well as a notification that there is no fee for applying for the cash credit online. Besides that, mobile advertisement provided the option for the users to directly visit the page with the online application form for cash credit, with only click on the button, or to visit the webpage of Splitska Banka. With carefully defined target groups and media plan, everything was ready for launching the campaign that was realized through the advertising network of ClickAttack. About the future successful campaigns of Splitska Banka, and for more information about campaigns through mobile advertisement, sign up for our newsletter. Tilt Banner – New Mobile Advertising Format From ClickAttack!